One of the earliest writing styles I remember teaching my kids is letter writing. I wonder, as we become more and more technologically dependent, if this will eventually become obsolete. I mean, how often do we sit down and write out a letter instead of a text or email? Regardless of technology, I still feel it’s important to know the foundation of writing a friendly letter. Our grammar program teaches the formula in early elementary. Emma, now in seventh grade, writes several friendly (fan) letters each month to the creator of her favorite YouTube channel about husky dogs. Last week, she found out the creator of the My Little Pony cartoon has a fan club, and she promptly wrote a letter to him/her (I can’t remember). 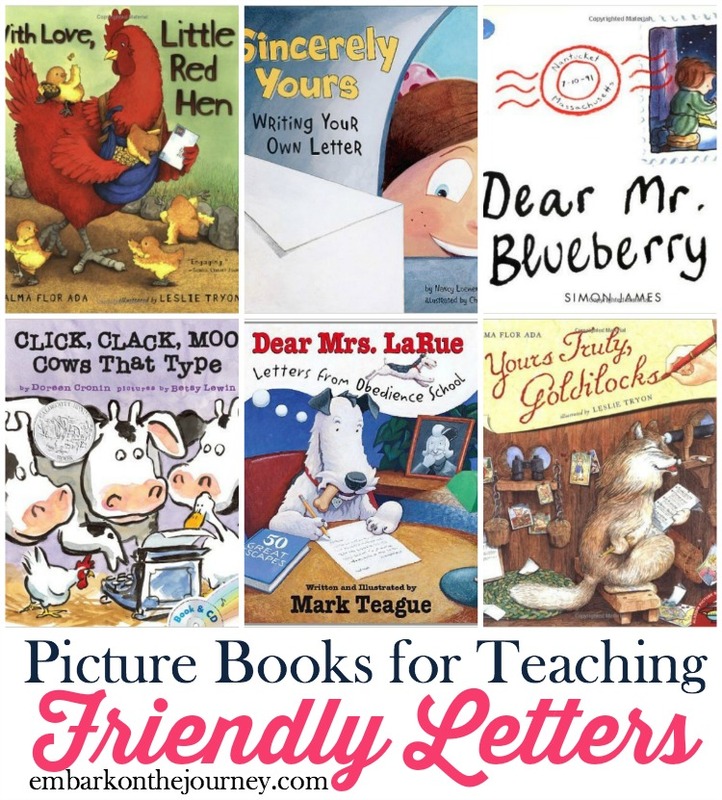 There are lots of picture books that you can use to demonstrate the parts of a friendly letter. I like to use Click, Clack, Moo Cows That Type by Doreen Cronin. The letters are short and sweet. Kids find the story funny. And, it’s part of a series of books that the kids will want to explore. I even wrote an author study last year featuring more of her books. Once you’ve read one or more books that feature friendly letters, talk to your kids about the parts of a friendly letter. Use the anchor chart and labels I included in today’s free printable. Then, read another story (or reread their favorite), and see if they can identify the parts of a letter within the story you’re reading. After that, have them write a letter of their own. They can write to Farmer Brown, a favorite artist, or their best friend. Whether they write to a real person or not doesn’t matter. It’s all about learning the process of writing a friendly letter. Inside this free mini-pack, you will find an anchor chart, parts of a friendly letter labels, a cut-and-paste page, and two writing pages. This post is part of my 31-day Teaching with Picture Book series. Be sure to check out the rest of the posts. What a great way to cap off the Teaching Parts of Speech with Picture Books series! I plan to use these ideas as mini-unit studies at the beginning of our school day. My younger children (4 & 6) will enjoy the picture books and my older children (8 & 10) can review grammar in a non-threatening and sometimes humorous way. Thank you! Very excited to find this! My first grader started to learn about writing letters. These book recommendations look great and so helpful. Thanks! Yay! I’m glad you found this post at just the right time! I love this printable! What a great way to learn about writing a friendly letter. 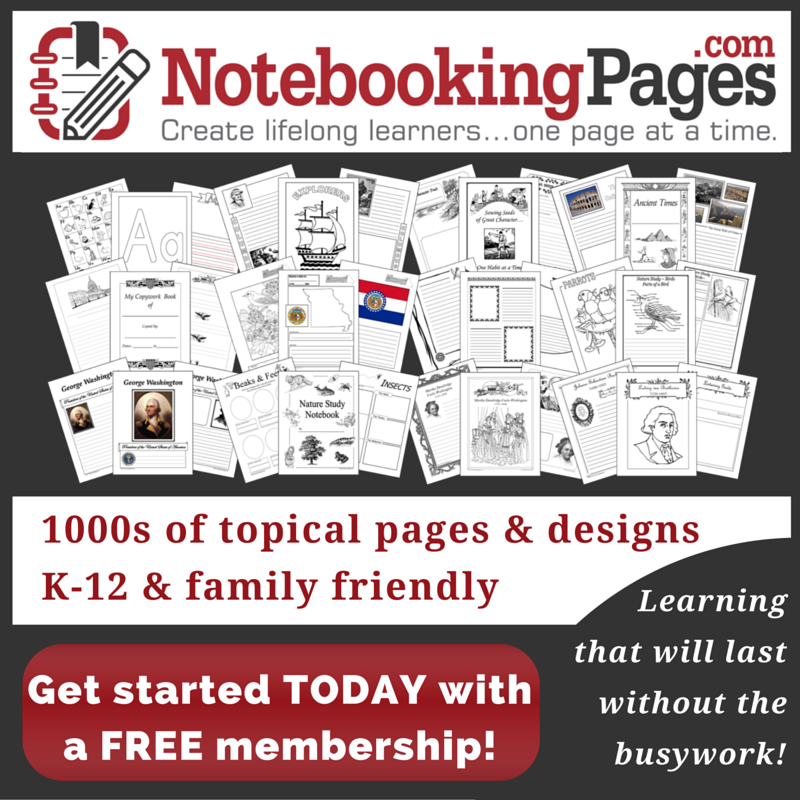 Thanks for sharing this resource with our readers at The Homeschool Nook this week. Definitely pinning this post for later!